Merlot & Verdelho Townhouses are superior luxury situated in the heart of the Coonawarra Region and the township of Penola. The properties are designed to accommodate couples or groups. This spacious townhouse is fully self-contained catering to the discerning traveller who appreciates luxury, style and comfort. Open Plan living is the key to this modern executive style accommodation. Everything has been catered for here including Austar(Foxtel) TV, dual shower, massive spa bath and stainless steel appliances in a fully equipped kitchen. You could stay for 1 night or 1 week and feel completely relaxed and catered for with cafe's just around the corner. Pricing: This property's pricing is based on the number of bedrooms required and not the number of people. Not suitable for Children under 16yrs. This property allows 1 night stays except on Long Weekends, Events, Public Holiday periods. Please submit an enquiry if you are interested in this property. 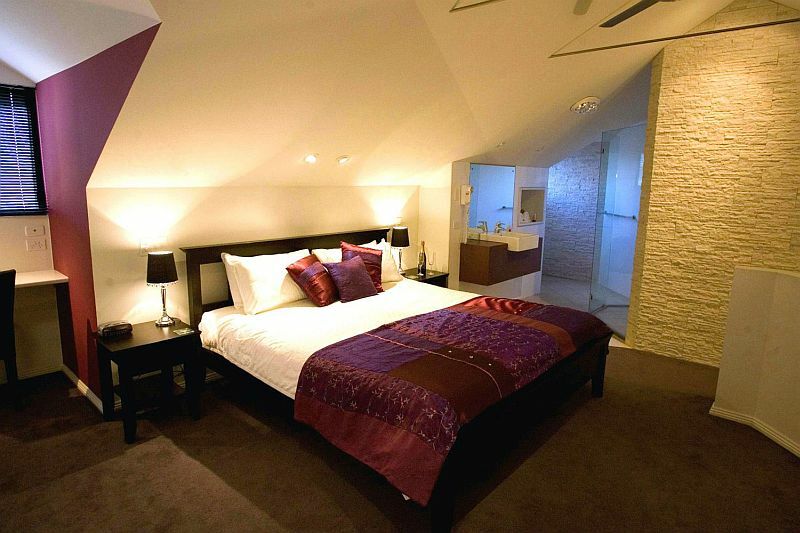 3 Bedrooms - 1 King Bed on Mezzanine Floor with own ensuite. and 2 Queen bedrooms downstairs. BBQ and outdoor setting. Private courtyard. Not suitable for children - Min age 16 years. Secure off street Parking, Keyless entry and security gates. The townhouses can be interconnected by having the laundry door unlocked by management and guests can pass freely between the two townhouses. Capacity to sleep maximum of 12 people. 4 night minimum for Easter.